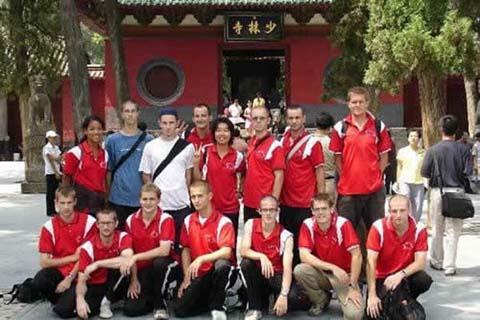 In the past years, our team has spared no effort to become the best and the biggest shaolin kung fu academy in China. We have a unique training environment and an experienced teaching team. It has always been our dream to carry forward the shaolin kungfu for the benefit of all people around the world. Our dream is that all people live a long and healthy life. Our dream is that everyone has the chance to learn Shaolin Kung Fu. Wushu transforms your consciousness, activates the cells of the body and aligns your reality. There is an old saying in China that no scholar is so well taught as he who teaches himself. Do you know the true meaning of learning for yourself after a master has introduced you to a practice? Internal factors are decisive for a person’s development. External factors have an important influence on the internal factors. Your learning level depends on authentic kungfu, a peaceful environment and good service. - We are located in the holy land of Shaolin Martial Arts - China Song Shan Shaolin Temple. - We inherit the most genuine and traditional Shaolin Kung Fu. - We put a lot of energy into teaching, using the best teaching methods. - Traditional training methods optimized for foreigners. - Many years of teaching experience. - Max. 10 students / group.